Ce document au format PDF 1.7 a été généré par Microsoft® Word voor Office 365, et a été envoyé sur fichier-pdf.fr le 26/03/2019 à 11:46, depuis l'adresse IP 178.197.x.x. La présente page de téléchargement du fichier a été vue 116 fois. Taille du document: 1.5 Mo (23 pages). Cup in BMX. 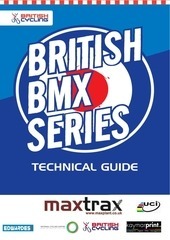 This event is hosted by We Are BMX , a joint effort between 4 clubs in the region. with a Pro Gate start. race. We are looking forward to see you all in Norway this May. Trail which passes through the outskirts of the town, is also a popular venture all year round. What else to do ? Are you up for some exploring ? Check out the fortified town in Fredrikstad and the summer paradise Hvaler Islands. will find several small shops with designer goods, arts and crafts, furniture, food and curiosities. number of cosy restaurants and cafés. There are many parking options in the area. See the map. event is 100 NOK all days. Tickets will be sold on entrance. NOTE! All payment will be in Norwegian kroner , You can pay with VISA/MASTER cards. To register and reserve team space see chapter 9. From Oslo approx 1,2 hrs car drive to Råde. 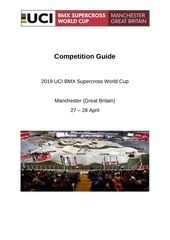 according to article 6.1.079 of the UCI BMX Rulebook v20190101. their country on both shoulders or the national jersey of their country. classes and never for championship classes. 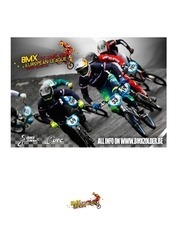 • Team Managers meeting will be on Friday 3rd of May at 16:00.
every event of the UEC BMX European Cup events. 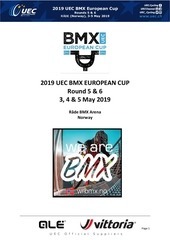 and over are allowed to participate in the official UEC BMX European Cup. will all receive the same award. National Team Manager on site at registration control. Above apply both for all races of the UEC BMX European Cup. double entry fee for these riders. as per the preregistration riders list, on the scheduled day and times of registration. UEC online registration system, the registration will be checked at the event. National federations must register official trainer/coaches in the online registration system. This way we can acknowledge them as trainers and give them a pass at European events. assistants shall correspond to the limits defined below. physics, national coach or any other person of their delegation, according to the table below. following schedule if they register their staff through the UEC online registration system. registration. The entry form can be downloaded from the website www.uec.ch. Regulations or noncompliance with the instructions of the organisation or the commissaires’ panel. for that specific race, at the cost of € 150,00. ➢ Promote the name of the Team during races as listed on the moto sheets. team, at the cost of € 200,00.
spot. See the extra service if you would like to book tents on the spot. There are limited tents available to rent for team who travels with airplanes. We have 6x3 m tents and 3x3 m tents for rent. information to confirm your rental. Payment by bank only !! Mark your payment with team name and what it is for. Sample: Payment UEC Team arena Team Sweden. Booking is only valid after payment is done. Remember to bring your receipt. • Arriving will be permitted from Friday 9.00 AM. • You must leave before Sunday 20.00 PM. • Team Tent area will be closed two hours after the races/practice end. The Welcome Centre is located at location 9 on the map. following the finals and award ceremony. directly following the ceremony will not be paid out afterwards. Cups for places 1 - 8 for both rounds award ceremony. booking and reservation in advance is required. First come first served principal. There are also other camping areas in the county. Thursday 2 May from 15.00 p.m. till 20.00 p.m.
Friday 3 May from 9.00 a.m.
Sunday 5 May - 20.00 p.m. at the latest. Camping for the whole event Price: €80,00 – / 800 NOK pr. spot. - No electric power available. To book a camping spot and all requests related to camping please use. email camping@wrbmx.no. 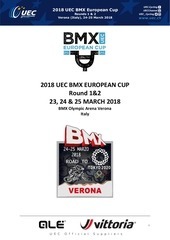 The UEC BMX European Cup Rounds are broadcasted live on UEC website: www.uec.ch. aslaksrud@wrbmx.no to reserve your space. attractions. To drive from Moss or Fredrikstad to Råde is approximate 15 min. HOTELS with Approx 15 min drive time to the track. website for all UEC events http://uec.ch/en/media. them and have someone responsible for their distribution. Time for press conferences, flash interviews etc. must be agreed with the UEC BMX Commission. • At every UEC BMX event BIB’s are used for press on and off the track. of the photographers get a yellow BIB. • Be careful when using flash. Do not flash directly into the eyes of the riders. • Photographers must be impartial on the track; it is not allowed to cheer for a rider in the track. • It is strictly forbidden to touch a rider and / or bicycle. • A photographers meeting can be organized. This will be announced in advance in a timely manner. will be reported to the police. the car parks or on the track campsite. Ce fichier a été mis en ligne par un utilisateur du site. Identifiant unique du document: 01912833.